Home › Toys › Dc Comics Multiverse 4-Inch Classic Comic Skin Batman And Clayface Figure 2-P..
Dc Comics Multiverse 4-Inch Classic Comic Skin Batman And Clayface Figure 2-P..
Batman wears Classic blue and grey Comic Skin and Clayface features an interchangeable hammer fist, to unleash shape-shifting mayhem! Expanding the DC Comics Multiverse, these popular characters from the ArkhamCity video games are highly articulated, highly detailed, and dynamicallyauthentic! 4" Batman in Classic blue and grey Comic Skin is paired with true-to-scale giant DC Super in Clayface. Escapee Clayface also features aninterchangeable hammer fist, to unleash his shape-shifting mayhem on Batmanand any citizen who dares to cross his destructive path! 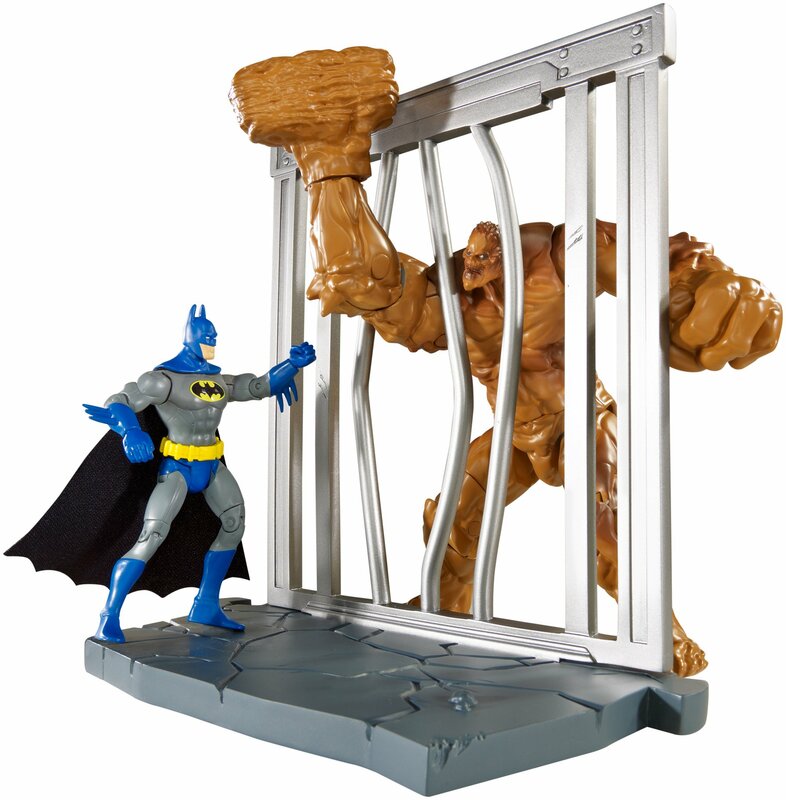 Display theadversaries in the included Arkham jail cell base. Collect the otherassortment pairs and stage a massive prison breakout for the ultimate battleof good versus evil right out of the pack. Each sold separately. For the AdultCollector.